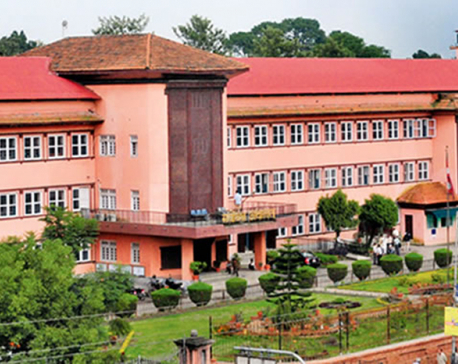 KATHMANDU, April 27: Bowing to pressure from the opposition alliance, the government has withdrawn its controversial amendment proposal that would increase the number of local units in 11 select districts in the Tarai-Madhes. The government agreed to withdraw the proposal following negotiations with the main opposition CPN-UML, which has obstructed parliament over the issue. Top leaders of the ruling Nepali Congress (NC), CPN (Maoist Center) and Rastriya Prajatantra Party (RPP) were present at the negotiations. UML Chief Whip Bhanubhakta Dhakal said they withdrew the House obstruction after the government agreed to withdraw a circular from the Ministry of Federal Affairs and Local Development (MoFALD) to revise the local units in 11 various Tarai-Madhes districts on the basis of population. 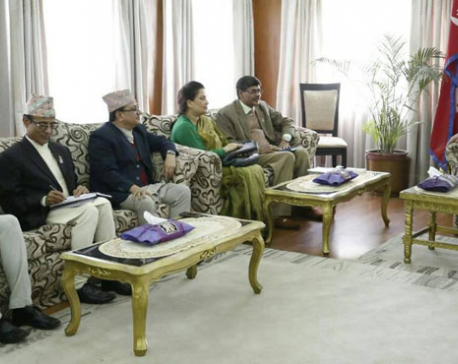 “UML is ready to hold discussions on the matter if necessary. However, the government shall implement any decision on the revision of the number of local units only if there is consensus among the government, the main opposition party and the agitating United Democratic Madhesi Front,” Dhakal told Republica. The government in its bid to bring the agitating Madhes-based political parties on board the elections had expedited the process of increasing the number of local units in the 11 southern plains districts. The move triggered controversy as the proposal to increase the number of local units on the basis of population size in the Tarai-Madhes has excluded the remaining plain districts, let alone the densely populated districts in Kathmandu Valley. Although the major parties agreed in principle to take into account both population and geography in the representation of people in government, the new proposal negates the aspect of geography in their representation in local government. In the circular sent out on Monday, the MoFALD had directed the District Coordination Offices (DCO) of Saptari, Siraha, Dhanusha, Mahottari, Rautahat, Bara, Parsa, Nawalparasi, Rupandehi and Kapilbastu to revise the number of local units in their respective districts as per the new criterion on minimum population and send the revisions to the ministry by Thursday. The ministry recommended a minimum population of 22,000 for a rural municipality and 31,000 for a municipality in the said districts. Previously, the population size for delineating a rural municipality was 40,000 for a rural municipality and 60,000 for a municipality in these plains districts . All but Nawalparasi, Rupandehi and Kapilbastu belong to the proposed Province -2 in the new federal setup. The proposal to revise the local units in the selected districts as per the new population criterion caused controversy as it would increase the number of local units in the districts of Province-2 and a few others, while depriving other densely populated plains districts including Jhapa, Morang, Sunsari, Chitwan, Dang, Banke, Kailali and Kanchanpur of similar representation. For instance, Province-2 with a total of 2.66 million voters according to the 2011 census already has 127 local units. It would have almost double this number under the new criterion. However, Province-3 that consists of heavily populated Kathmandu, Lalitpur and Bhaktapur districts with over 95,000 more voters than Province-2 has 119 local units. Experts termed the government move "illogical", as it would not only be unjust to people living in other provinces but would also go against the very spirit of federalism. “The government decision lacks any criterion. Such a decision to revise local units only in the selected district is not only unjust to other districts but also makes the local units unable to play the roles given them by the constitution as they will have a very small geographical unit,” said Chairman of the erstwhile Local Body Restructuring Commission Bala Nanda Paudel.